It’s official. PewDiePie is now the most subscribed YouTube channel of all-time. 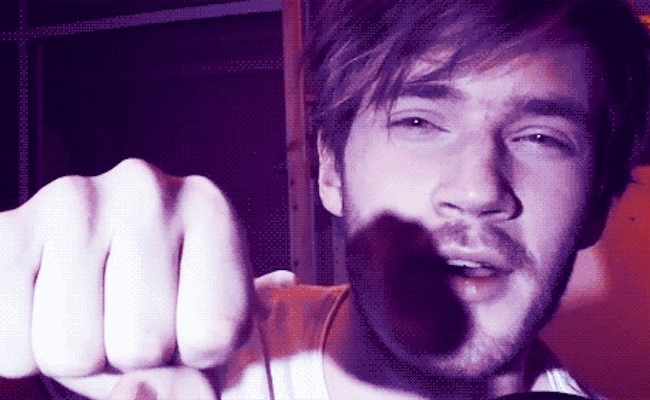 The channel featuring and owned and operated by 23-year-old Swedish gamer Felix Kjellberg (and his sometimes scary-faced, high-volume, expletive-using alter-ego PewDiePie) surpassed Ian Hecox and Anthony Padilla’s Smosh earlier this evening (around 7:30PM ET) to claim the #1 spot on the YouTube’s Most-Subscribed list. At the time this article was published, PewDiePie’s subscriber count equaled 11,915,435 to Smosh’s 11,915,062. Smosh’s reign as YouTube’s top channel lasted a full 216 days. Padilla and Hecox’s online video repository of their teen and tween-friendly brand of comedy ousted Ray William Johnson for the #1 position back on January 12, 2013. At that time, Smosh had more than 6.78 million subscribers. That means over the past seven months and four days the comedic duo has averaged roughly 23,768 new subscribers per day, 990 per hour, and 16 per minute. That’s quite an acquisition rate, but it’s still no match for PewDiePie. Anyone who’s been following our Tubefilter Charts knows that PewDiePie has been on an absolute tear. In addition to consistently being the #1 Most Viewed YouTube Channel Worldwide (Kjellberg’s channel had more than 221 million views in July alone), PewDiePie acquired 1,635,269 subscribers last month. That averages out to 54,508 subscribers per day, 2,271 per hour, 38 per minute, and one new subscriber every 1.6 seconds (and a lot of the online video world still thinks gamers aren’t the new rockstars). @cinnamontoastk I’ll be celebrating by sleeping! We are all celebrating PewDiePie’s rise to the top. He is a great example of how a YouTube content creator can amass a worldwide following due to passion and creativity, and his large subscriber base showcases the loyalty and strong connection he has to his ‘bros’. Congrats to PewDiePie on the new status and (in keeping with recently established tradition) here’s hoping there’s a collaboration with Smosh in the very near future.